You are here: Home / Blog / Blog / Success Newsletters / Encouragement: You’re Better Than That! 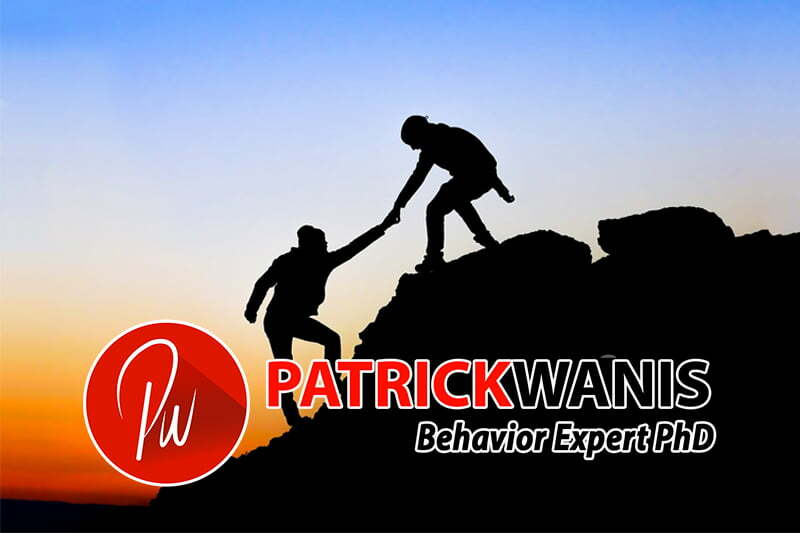 Nov 7, 2018 /in Success Newsletters /by Patrick Wanis Ph.D. In this week’s Success Newsletter, I would like to reveal the power of encouraging people to push beyond doubt and fear and discover their real capabilities. Now, let’s talk about the power of encouraging people to push beyond doubt and fear and discover their real capabilities. Have you ever noticed the conflicting behavior of children? Sometimes, they want to do a task all on their own and at other times, they simply give up, saying they can’t do it at all. ‘Yes, you can’, I said without hesitation. She stood there puzzled for a moment, and then began to move her hand to the monkey bar. She stopped about half-way and jumped down. That encounter reminded me about the ways that encouragement helps children succeed by believing in themselves and their capabilities, and it pushes them to take action even when they still have some self-doubt; courage is acting in spite of the fear. We all need encouragement, particularly when something is tough, challenging, or, we simply doubt ourselves. Encouragement is the action of giving someone support, confidence, or hope. Thus, encouragement means putting courage in someone’s heart, and discouragement means depriving of or causing someone to lose courage; to dishearten. Do you encourage the people in your life – friends, family and coworkers? Do you have people in your life who encourage you – support you, push you and instill belief in your capabilities and potential? In the movie, Rocky Balboa, Sylvester Stallone plays the aging boxer who is confronted by his son, Robert (Milo Ventimiglia) who tries to talk his dad out of a comeback fight. Robert who is failing in his life, wants his dad to quit because he claims that it makes both of them “look like a joke.” Rocky challenges him and calls him out for playing the victim and blaming everything and everyone around him for his own plight. “But it ain’t about how hard ya hit. It’s about how hard you can get hit and keep moving forward. How much you can take and keep moving forward. That’s how winning is done! Now if you know what you’re worth, then go out and get what you’re worth. But ya gotta be willing to take the hits, and not pointing fingers saying you ain’t where you wanna be because of him, or her, or anybody! Soon after, Rocky and his son Robert reconcile and Robert supports his dad to prepare for the fight! Life often drains the emotional tank, but it is encouragement that keeps the emotional tank full. Encouragement keeps determination and hope alive. However, for encouragement to go beyond motivation, and for it to be most effective, it needs to be specific and it needs to tell the person both what they are doing wrong and what they need to do right in order to succeed. Encouragement involves issuing the challenge, pushing the person to make decisions, take action and reinforce their belief in their abilities and capabilities. Effective encouragement requires that you tell the other person to persist in spite of the obstacles, setbacks and failures, and; to persist in spite of their own self-doubt or fear! If you need personal help and guidance to overcome self-doubt or other obstacles because you were never encouraged, book a one-on-one session with me.